Next Session Of The Ladder – July 11th: Surgery and Sutures! 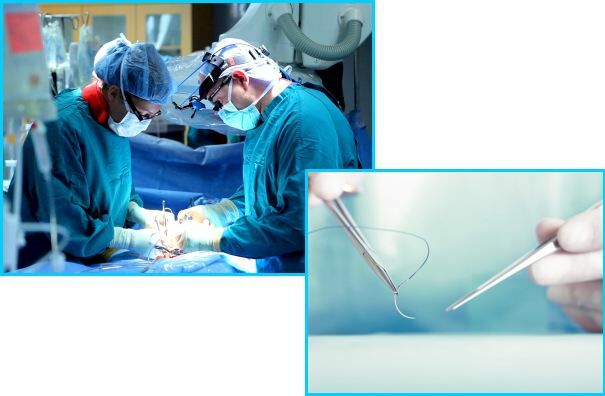 This month we’ll be exploring a topic well known to more senior medical scholars but entirely new as a topic at the Ladder: surgery & sutures – or, to use terminology that’s more widely known outside of medicine, operations and stitches! You’ll have the opportunity to learn about the variety of helpers involved in various aspects of surgery (hint – it’s not only physicians/surgeons! ), and the specialized tools and procedures used to get into areas of the body requiring surgery, those used to do the work inside the body, and those used to stitch surgical areas back up again. Bring yourself (but leave your needles and thread at home! ), and join us for the next session of the Ladder: Saturday, July 11th at 12:30pm, where we’ll give you hands-on opportunities to learn about surgery and suturing! Our meeting location will be at the UROC building – 2001 Plymouth Ave N (Newton & Plymouth) in north Minneapolis – lunch will be provided! This entry was posted in upcoming meetings and tagged medical career, medical mentorhip, North Minneapolis, operations, stitches, surgery, suturing, The Ladder. Bookmark the permalink.